Has anyone else ever noticed that while the pluckable vegetables in Super Mario Bros. 2 vary from level to level, tomatoes only appear in the game’s final level? In the big bad’s room? With Wart and the so-called Bad Dream Machine? Am I the only one who’s ever noticed this? Why would Nintendo bother to design a tomato and use it only in one room in the entire game? And better yet: Why would Wart leave a machine in his hideout that produces the one thing that kills him? And why is the one thing that kills him fresh produce? After many, many years, I have an answer for you. 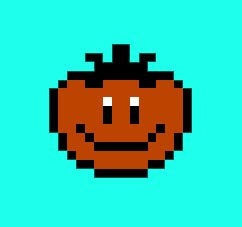 The original game, Doki Doki Panic, had this item as a gollywog-like mask. It was replaced by turtle shells everywhere in the game except the end battle, where it was reskinned as a tomato. Damn! And I knew about that blackface head, too. But I didn't put two and two together. I'd even blogged about it Ha. How about that. It's the Dream Machine, which-- if memory serves-- is what Wart used to take over Subcon. I guess it's malfunctioning, or reacting to Mario and Co.? As for the veggie weakness... well, frogs are largely carnivorous, so that may have something to do with it? Here, I found some background on the Bad Dream Machine/Nightmare Machine on the Mario Wiki, which has apparently deigned that it deserves its own entry. In the Tale of the Dream World of Muu, the Dream Machine was created by the Muu people/Subcon fairies to control the weather and sustain good dreams to all the people. Mamu/Wart suddenly appeared and converted the Dream Machine to produce several monsters to conquer the land. The Muu people originally managed to defeat Mamu on their own, but when the twins Piki and Poki accidentally ripped out the book's ending, Mamu stopped them in their tracks and kidnapped them. At the final battle, the Dream Machine creates turnips, which the Arabian family has to throw four times in Mamu's open mouth in order to defeat him. The "Muu people" first appear in Yume Kōjō: Doki Doki Panic, the game that Super Mario Bros. 2 is based on. In this appearance, they are fictional characters in the Tale of the Dream World of Muu. The happy Muu people lived peaceful lives in strange land where the weather is decided by the "dream of the day." If everyone has a nice dream, then the weather is bright and sunny, but if everyone has a bad dream then the next day there will be storms. The Muu people invented the Dream Machine, so they could always have good dreams and good weather, but a mischievous monster named Mamu changed the machine to produce monsters. However, Mamu was weak to vegetables and hated them more than anything in the world. The Muu fought Mamu by hurling vegetables at him until he was buried. Mamu surrendered and peace was restored to the Dream World of Muu. The story would have ended there had the "real life" twins Poki and Piki not squabbled over the storybook presented by Rūsa the monkey. They fought over the last page and accidentally tore out the book's ending. In a flash, Mamu sticks his hand through the pages of the storybook and kidnaps the two children, pulling them through the book and imprisoning them within a cage near the Muu people. This allowed Mamu to conquer the Dream World. Luckily, Rūsa alerted an Arabian family consisting of Papa, Mama, their son, Imajin, and their daughter, Lina. They hopped into the storybook to save the children, each progressing through the story at their own pace. 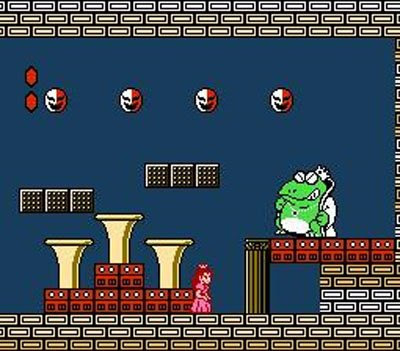 In the end, after defeating the armies and their bosses, the four defeat the diabolical frog king and free the Muu people from Mamu's vase, thus restoring a happy ending. With the citizens rescued and the storyline fixed, the world they inhabit and the kidnapped children are rescued as well, and the six return to the real world.